To iPhone users, this experience is not rare. on one side, iPhone brings great and good user experience, but on the other side, data loss let users run a great risk. However, if you've already done the right steps, there comes a good opportunity to help you recover the deleted iPhone pictures or video. dr.fone toolkit for iOS, as the best iPhone recovery software, enables you to recover the deleted videos directly from iPhone, iTunes and iCloud backup. The best tool - dr.fone - Recover (iOS) can provide you with three ways to retrieve lost videos from iPhone. 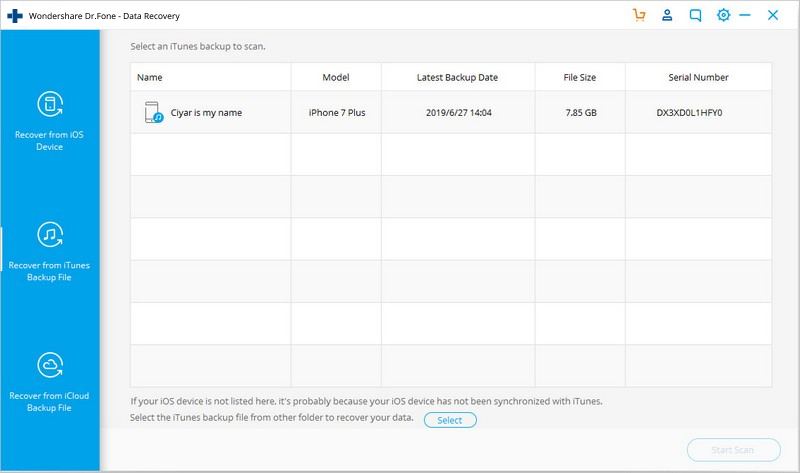 If you have iTunes/iCloud backup, we can use dr.fone to recover our videos from iTunes backup or iCloud backup. 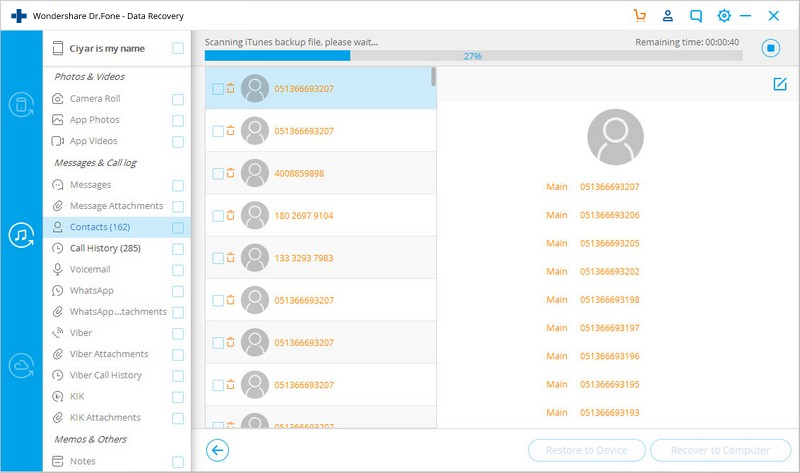 But some of our users forgot to back up data, then dr.fone can help us to recover deleted videos from iPhone directly. As for more details, let's check the box below. Recover videos directly from iPhone, or by extracting iTunes/iCloud backup. 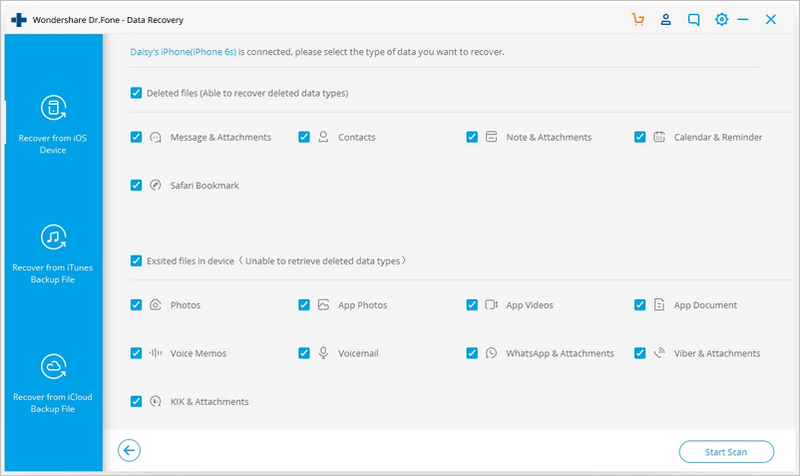 Recover data lost due to deletion, device loss, jailbreak, iOS upgrade, etc. 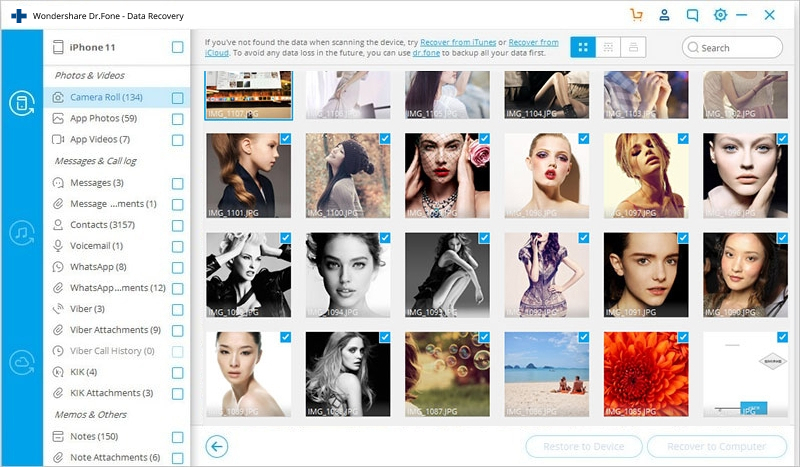 Selectively preview and recover any item you want. Let's check the below steps on how to recover deleted videos from iPhone. Launch the dr.fone on your computer, and connect your iPhone to the computer with a digital cable. Select the file type "App Video" to scan, then click button "Start Scan". 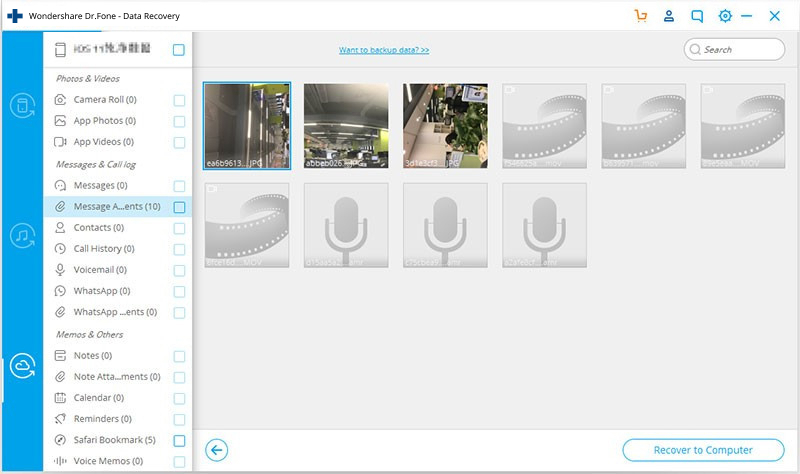 To recover your videos, check Camera Roll, which contains captured pictures and videos. Mark those you want and click the Recover button at the bottom to save them all on your computer with one click. Note: Besides recovering deleted data from your iPhone, dr.fone can also export the data still on your iPhone. If you only want back your deleted ones, you can refine the scan result by using the button on the middle-top of the window to only display deleted items. Start the program and select "Recover" from dr.fone's tools. Click on "Recover from iTunes Backup File". Choose the one of your iPhone and click "Start Scan" to extract the content from your iPhone backup file. Please note that the number of backup files you get here depends on how many Apple devices you've synced with iTunes before. When the scan is over, the whole backup content are extracted and also displayed. You can check the video which is in .mp4 format in general, and click "Recover to computer" on the top menu to store it on your computer. 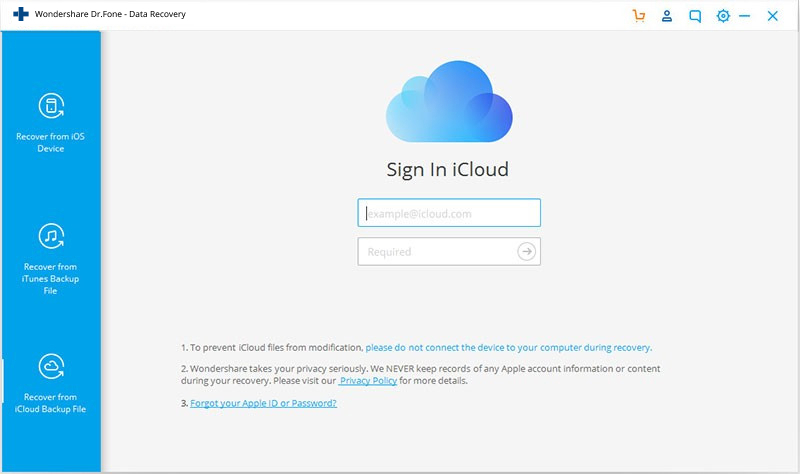 Choose "Recover from iCloud Backup File". Then sign in your Apple ID. You'll see the program showing all iCloud backup files in your account in a list. Choose the one you want to extract to download it. When the scan stops, you can check videos in the categories of Camera Roll and App Video. Tick them and click on the Recover button to save them on your computer with one click. This guide shows you how to recover voice memos (m4a) from iPhone, iPad and iPod touch in 2 steps. Check in and read it now! Lost iPhone or deleted video by mistake? This article shows you how to recover lost video on iPhone, no matter you're using iPhone 7 (Plus)/SE/6S (Plus)/6 (Plus)/5S/5C/5/4S/4.